This diamond engagement ring is from the Gabriel & Co. Blush collection. Crafted in 14kt gold, it features an emerald-shaped center stone in a four-prong setting surrounded by a double halo. 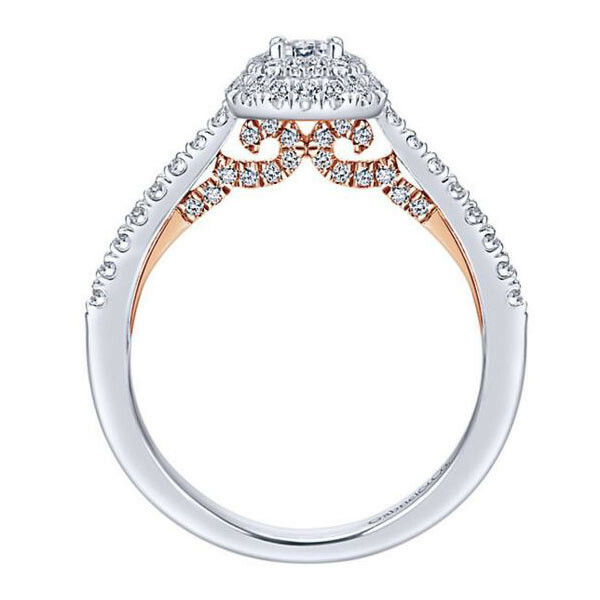 A rose gold profile showcases graceful pave diamond scrollwork set in pink gold. 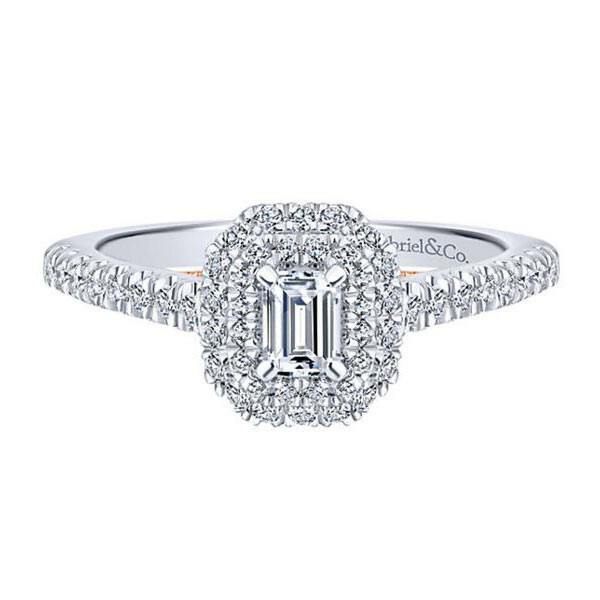 This Gabriel & Co. engagement ring is exquisite in its design and enchanting in its presentation.